This Fall, The National School Walkout is working with other youth-led organizations on a nationwide High School Voter Registration Challenge. We’re asking every student in America to lead a team that will register every eligible student at their school. Our organizers are working directly with student leaders and administrators to empower students to register their classmates offline at school-based events. form a voter reg team at your school !! National School Walkout is a movement powered and led by students across the country. We’re protesting congressional, state, and local failures to take action to prevent gun violence. America is the only country in the world where so many people are killed by guns, and yet our leaders do nothing about it. In many states it’s more difficult to register to vote than it is to buy a rifle. Apparently to some politicians, a vote is scarier than a gun. On Friday, April 20th, 2018, hundreds of thousands of students in every state in America walked out of their classrooms. We are walked out for those who lost their lives to gun violence, to talk about the real problems our country is facing, and to find solutions the problems that our leaders have failed to address. 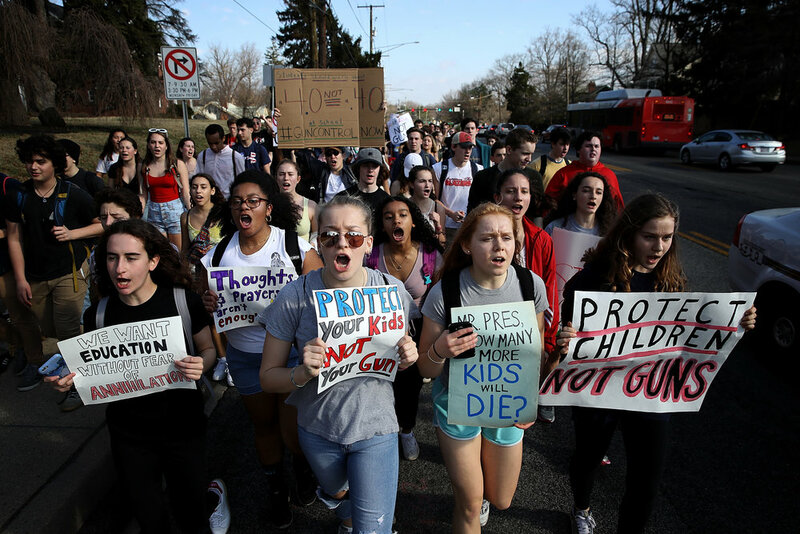 We've got everything you need to plan a walkout at your school.